Cardinal – Project 365 Day 86, a photo by Ladewig on Flickr. 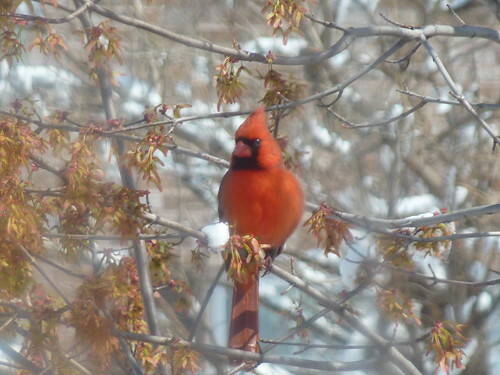 Our resident cardinal has started to sit in the tree outside our home office window now and then. Such pretty birds. Wish we had more than the single pair that frequents our feeder.